Park Street in Kolkata is famous for being a hub of several fine dining restaurants. 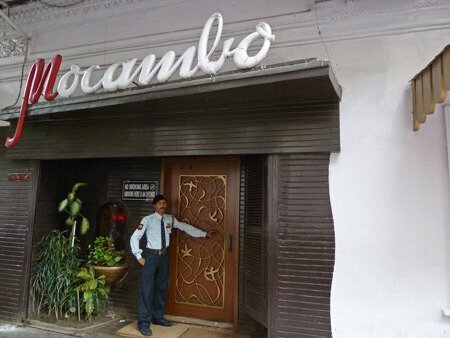 Mocambo is one of the oldest establishments in that area. On Saturday, Dilashi Hemnani decided to have dinner in the restaurant with her driver, but was shocked when she was told that he wouldn't be allowed inside. She wrote about the incident on Facebook, which has been shared over 7,800 times since. "How shallow and inhuman have we become ? Last night being my last day in Kolkata decided to try out this popular restraunt called Mocambo' at Park Street .I decided to go with my driver -Manish bhaiya here whose great service and care throughout my stay in Kolkata for a week was excellent . (Also yesterday afternoon he missed his lunch because I forgot to tell him to go for lunch - uncertain about the time it would take me to finish the meeting -he missed his lunch). Staff : Yes the table was going to get empty, but they ordered for more food. Me : Why are you not giving me the table? Staff : Maam we can't give you a table. Staff : Who are you with? Staff : Aahhh....Maam he is not properly dressed . Staff : We don't have a dress code . Staff: No No he is not properly dressed it's a fine dine resturaunt. Me : *Agitated by now* What's wrong with his dressing tell me and is there a written dress code he is not following? Me : Call your manager give me a valid reason why he cannot come in. Staff : Goes and calls another person. Me : Sir why can't he come in? Me : *Furious and baffled with the audacity of the staff* How do you know he is drunk? Staff : Because my other colleague told me he is so. Me : On what basis due you make such assumptions . Did he drink in front of you or did you even go near him *they were standing 2-3 meters apart* He is driving me around since 8 o clock in the morning leave apart being drunk he is not even had food. Staff : But I know he is drunk. Me : Prove it then. Me : What's your name? Staff : I can't tell you my name. Staff : No No I can't it's just I can't let you in with him. Me : I don't want to get into your racist restraunt walks away with Manish bhaiya with deep grief in my heart on how Inhuman and shallow the world has become. Manish bhaiya is one of the finest human beings I have met in a long time he took good care of me and did his duty with all his heart. He is a simple man make Rs275 a day for 12 hours of driving, and sends more than half of the money back home. He has a difficult life, still he laughs a lot, shares a lot of stories, and is more human and empathetic than any I know. To Mocambo staff and restaurant at Park Street Kolkata which doesn't consider human as human and differentiates, discriminates and stratifies them into classes just because he doesn't fit into your description of a perfect customer (doesn't own a iPhone maybe doesn't talk in English ), I m sorry you don't deserve a fine human like Manish bhaiya sitting and eating in your racist restraunt." "The driver was very indecently dressed... Just wearing one pant and shirt, but he was not in proper state. He was having roadside food and just standing, not in proper state of mind. He was not acceptable in our fine dining restaurant. We told her (Dilashi Hemnani) we cannot give her driver a table, but we can give her one. We've such high standard guests coming here, it's a fine dining restaurant, we cannot have such a roadsider coming and sitting here. "We do not have a dress code. But at least a person should be neat and clean. He was having roadside jhalmuri, walking around and grazing people. That is not acceptable. How could you have a roadsider coming in to your restaurant? This is not a dhaba." From what we understand, neither the driver's clothes and behaviour, nor the fact that he was eating jhalmuri were the real offences. The only reason, which the management at Mocambo kept repeating, he wasn't given a table was that he is a "roadsider" from a less privileged background.